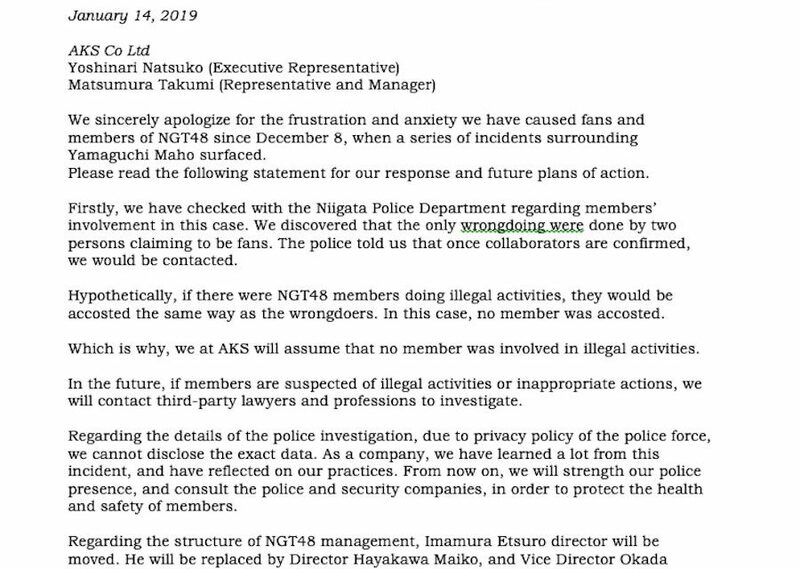 As previously reported fans of girl group NGT48 started a petition calling for the resignation of the groups theater manager/director Etsuro Imamura. When the article was published there was just over 2,500 signatures, and the petition ended up closing with a massive 53,971 signatures. Imamura was directly mentioned by Maho Yamaguchi when she was describing her assault, and the circumstances surrounding it. While it’s unknown if the petition had any effect, it was gaining traction on Japanese news sources. Nevertheless a statement was released today on NGT48’s official website confirming that Etsuro Imamura would no longer serve as the groups theater manager. The statement simply read that he would be “moved”, not saying what his new position will be. They also touched upon the allegations that members were involved in orchestrating the attack by leaking personal information. 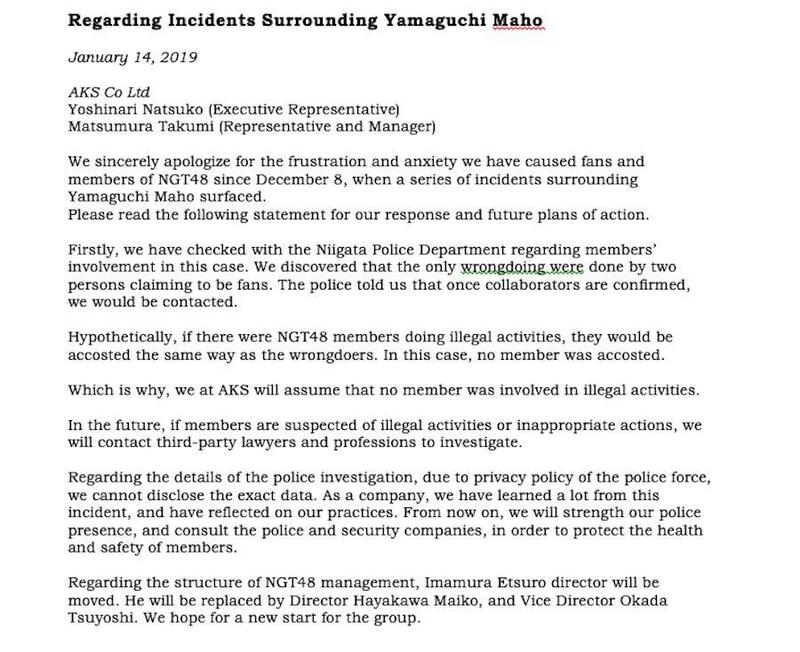 Despite Maho directly stating that members were involved, the statement read that the only “wrong doing” was done by the two men who attacked Maho claiming to be fans. They further went to say that they “assume” no member was involved in legal activities. In the future if anything of the sort happens third party layers will be hired to investigate the incident. In some positive news NGT48’s new director is a woman called Maiko Hayakawa . 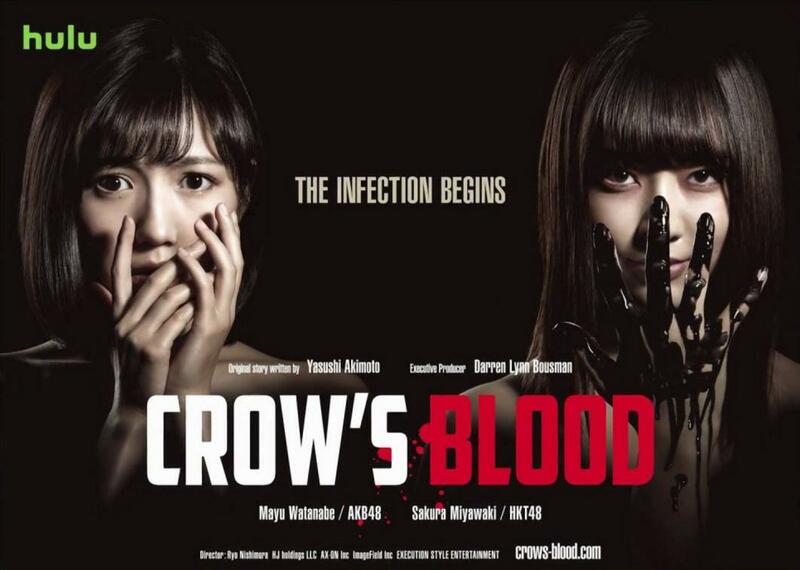 She has previously worked with AKB48, SKE48, and STU48. Hayakawa stated that she wasn’t familiar with the incident, but vowed to speak one-on-one with the members starting with Maho to fully understand the situation and iron things out. 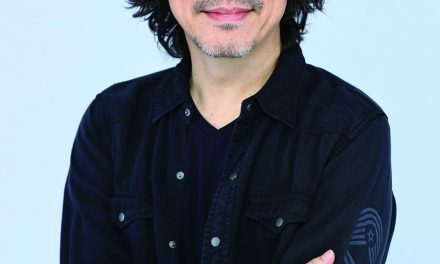 The post NGT48 director Etsuro Imamura to be replaced with a female, still no punishments for Maho Yamaguchi assault appeared first on ARAMA! JAPAN.